Brain-like Computing, Neural Networks, Machine Learning, Brain-Computer Interface, Affective Computing. I received the B.S. degree in instrument and control engineering from Qingdao University of Science and Technology, China, in 1982, the M. S. degree in computer science and engineering from Northwestern Polytechnical University, Xi'an, China, in 1989, and the Dr. Eng. degree in electrical engineering from Kyoto University, Kyoto, Japan, in 1994. From 1982 to 1986, I was with the Qingdao University of Science and Technology. From April 1994 to March 1999, I was a Frontier Researcher at the Bio-Mimetic Control Research Center, the Institute of Physical and Chemical Research (RIKEN), Nagoya, Japan. From April 1999 to August 2002, I was a Research Scientist at the RIKEN Brain Science Institute, Wako, Japan. Since August 2002, I have been a full professor at the Department of Computer Science and Engineering, Shanghai Jiao Tong University, China. I have been an adjunct professor of the Laboratory for Computational Biology, Shanghai Center for Systems Biomedicine since 2005. Period: Jan. 1, 2008 to Dec. 31, 2010. Period: Jan. 1, 2005 to Dec. 31, 2007. Period: Jan. 1, 2004 to Dec. 31, 2006. 2. K. Chen, B. L. Lu and J. Kwok, "Efficient classification of multi-label and imbalanced data using min-max modular classifiers", Proc. of IEEE World Congress on Computation Intelligence, pp.1770-1775,Vancoudar,Canada, July 16-21, 2006. 14. 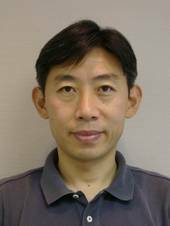 B. L. Lu, K. Ito, M. Ito, "Solving inverse kinematics problem of redundant manipulators in an environment with obstacles using separable nonlinear programming", Proceedings of the Japan/USA Symposium on Flexible Automation, Boston, 1996, 1, pp.79-82.